"The Goldbergs" (8:00-8:30 p.m.) - "Breakin'" - When Adam unintentionally lets it slip that BARRY never completed his community service requirement, the brothers join together to throw the greatest breakdancing battle in the history of William Penn. Geoff's stress levels are at an all-time high, so Erica makes an adult decision and plans for them to follow the Grateful Dead all summer. Finally, it's the end of an era when the JTP (The Jenkintown Posse) graduates from high school on the season finale. "Schooled" (8:30-9:00 p.m.) - "Dr. Barry" - After initially trying to sabotage him, CB works with BARRY and the JTP to help him win back Lainey's heart. Meanwhile, Glascott faces removal as principal after a prank damages William Penn Academy. Special Guest Star Troy Gentile. "Modern Family" (9:00-9:31 p.m.) - "A Year of Birthdays" - As the birth of Haley and Dylan's twins approaches we take a look back at how each family member celebrated their birthdays this past year. Directed by Steve Levitan. "Single Parents" (9:31-10:00 p.m.) - "Ketchup" - After learning that Angie's ex, Derek (played by Adam Brody), lives near Space Camp, Will convinces Angie to confront him about leaving her when she was pregnant, which results in a rowdy and awkward encounter between the three of them. Meanwhile, Poppy internally struggles with who she truly has romantic feelings for. "Shark Tank" (10:01-11:00 p.m.) - "1022" - First into the Tank are entrepreneurs from Fort Collins, Colorado, who present their fast food franchise focusing only on guilty pleasures. Entrepreneurs from Lexington, Kentucky, pitch their high design houses for special nocturnal guests. A husband and wife duo from San Diego, California, introduce their stylish product that keeps your pet safe from predators. Last into the Tank is a world-renowned jiu-jitsu instructor from Torrance, California, who solves a problem that we never knew we had with his dual fashion design. "Grey's Anatomy" (8:00-9:01 p.m.) - "Jump into the Fog" - Meredith Grey and the team of doctors at Grey Sloan Memorial are faced with life-or-death decisions on a daily basis. They seek comfort from one another, and, at times, more than just friendship. Together they discover that neither medicine nor relationships can be defined in black and white. Written by Krista Vernoff and directed by Debbie Allen. "Station 19" (9:01-10:00 p.m.) - "Into The Wildfire" - The members of 'Station 19' pack their gear and head to Los Angeles, California, to help battle a deadly wildfire raging out of control. While the team works to evacuate residents, they meet Terry (played by Patrick Duffy), and Ben makes a split-second decision that changes both of their lives. Andy and Sullivan continue to explore their attraction to each other. "For the People" (10:00-11:00 p.m.) - "A Choice Between Two Things" - On Election Day, Jay turns to Kate and the team for help after his parents and other voters are illegally intimidated at their polling place. Meanwhile, Roger and Jill's relationship is at an impasse when Sandra learns that they are romantically involved and challenges Jill's judgment. Elsewhere, Seth gets assigned to the case of a lifetime but his anxiety increases when he is appointed a bodyguard to help protect him, all while Sandra and Ted continue to tiptoe around their feelings for one another. 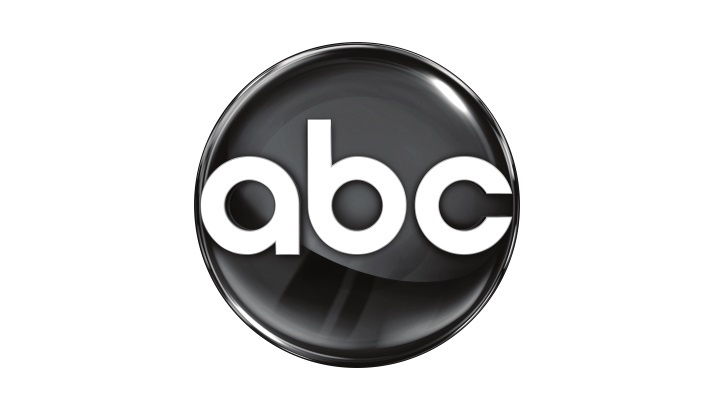 "America's Funniest Home Videos" (7:00-8:00 p.m.) - "Episode 2922" - The grand prize season 29 finale episode features the two $100,000 winners of the season competing for a trip for four to Aulani, a Disney resort and spa in Ko Olina, Hawaii. "American Idol" (8:00-11:00 p.m.) - "218 (Season Finale)" - Following a cross-country search for the next singing sensation, the iconic singing competition rounds out its second season on ABC. For the first time ever, America's live coast-to-coast vote will determine the winner of "American Idol," with all voting taking place during the show. The crowning moment will be preceded by special performances from music legends among other surprises. "The Fix" (10:00-11:00 p.m.) - "Making a Murderer" - All questions will be answered as a conviction is made in the murder of Jessica Meyer. "American Housewife" (8:00-8:30 p.m.) - "A Mom's Parade" - The extraordinary musical episode includes four original songs by renowned composer Justin Paul ("The Greatest Showman," "Dear Evan Hansen") and Glenn Slater ("Tangled," "School of Rock-The Musical"), as well as choreography from famed choreographer Ashley Wallen ("La La Land," "The Greatest Showman"). Frustrated by the lack of appreciation for all she does, Katie decides to go "full Westport" and leaves THE FAMILY to fend for themselves. Katie's plan quickly backfires when the kids seem to be doing just fine, leaving Greg to suffer the brunt of her absence. "The Kids Are Alright" (8:31-9:00 p.m.) - "Irish Goodbye" - Peggy struggles with Lawrence's decision to move out of the house, especially after she discovers that he is secretly moving in with a girlfriend she's never met. Lawrence's determination to keep Peggy out of his personal life only causes her to investigate further while Mike sees his departure as good news. Meanwhile, Timmy can't find his ventriloquist dummy, Knuckles, and learns that Joey took him without asking. "black-ish" (9:00-9:30 p.m.) - "Relatively Grown Man" - After Junior gets an offer for his dream job working with Migos, Dre and Bow are determined to convince him to return to college and get his degree on the season finale. Directed by Anthony Anderson & Guest Starring Quavo. "Bless This Mess" (9:30-10:00 p.m.) - "The Estonian Method" - Mike and Rio enter the "best hen" competition at the county fair with their prized chicken Priyanka in order to prove themselves to the community. Meanwhile, romantic sparks fly between Rudy and Constance, only to be halted by a run-in with someone from Rudy's past, and Kay and Beau struggle with some marital issues. "Whiskey Cavalier" (10:00-11:00 p.m.) - "Czech Mate" - Ollerman attempts to force the team to commit a terrorist attack for The TRUST using Ray's life as leverage. Meanwhile, Jai helps Standish deal with a revelation about his girlfriend, and Will and Frankie come to a realization about their relationship.